Of course it had to happen early in the morning. My routine: Up at 7 a.m., coffee on, bathroom. But while switching on the home office lights, I happened to glance at the dining room table. “Hmm. …That’s dustier than usual,” I thought. Petals had fallen off flowers in a vase. I ran my finger through a fine grayish-white powder on the tabletop. No idea what it was or how it got there. 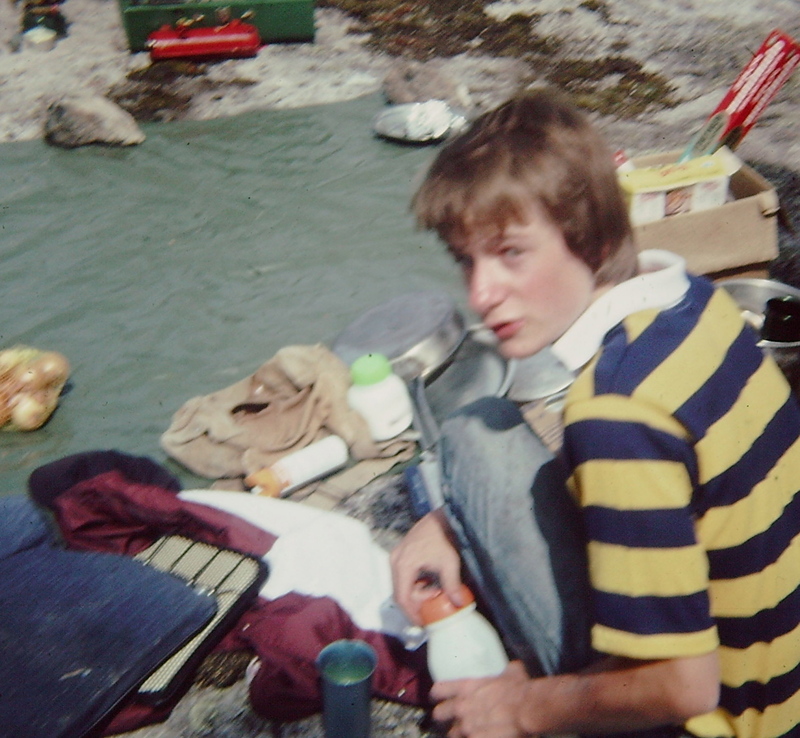 Seems I’d left the 1978 diary there, too. Odd. I showered while the coffee brewed. Over the roar of the water I heard—well, at least it sounded like—a throat clearing. I turned off the tap, grabbed a towel and dried off, bending an ear toward the door. 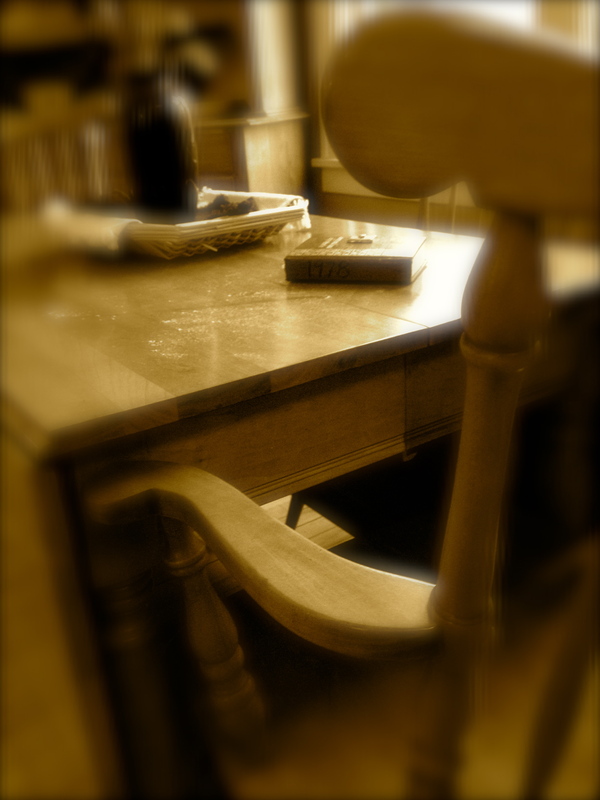 After throwing on clothes and pouring some coffee, I saw him sitting at the table, leafing through the diary. He smirked a bit, just as he always did. Outside of that, he looked … well, normal. Usually he was dressed in khakis and a short-sleeve, floral-print shirt. But because it was late winter in Minnesota, he wore beige slacks and a dark blue crewneck sweater. His thinning white hair looked as it did in 2008, when I last saw him. And he still had that world-weary look—even after all these years, you know, being dead and all. I would’ve assumed the time away would’ve crisped him up a bit. No such luck. I glanced over his shoulder and flinched a bit when I saw the page: Tuesday, June 13, 1978. “Us, Dad. Should be us,” I said, sheepishly. I snatched the diary out of his hand and started reading where he’d left off. “‘…sadly, bitterly…turmoil and tears, guilt and fears (rhymes) I felt like jumping in the lake and taking an endless walk…’” I put the diary down and felt his eyes on me while I glanced out the window. He nodded. “I thought I’d lost you, Mike.” I saw him tear up. He just stared at me, so I tried to explain. If you’ve ever wondered if a ghost can sigh, I’m here to tell you that you can now put that question to rest. “I know … I know,” I said. We sat there for a while not saying anything. Late winter light cast a dull glare on the tabletop. I looked again at the strange grayish-white dust, then at Dad. ~ by completelyinthedark on March 22, 2013. As always, you pull at my heart strings. Beautiful. This is very touching. Your writing is very vivid. As I read this, I could feel the powder on the table, having just the slightest grittiness. I could hear Your father’s voice again. I could see how he moved. I remembered his expressions and I could see the look in his eyes.. I remember this period of Your lives. I remember how the tough guy exterior on your father fell away with the love for his son.